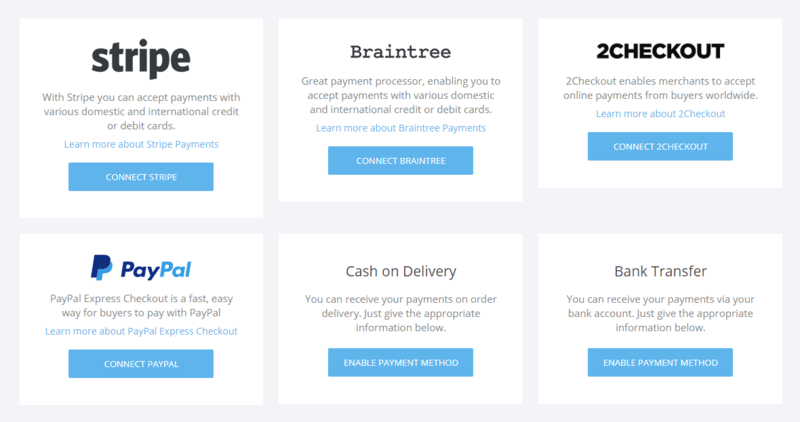 Currently you can pick our of 6 different payment options. With Stripe, Braintree, 2Checkout and PayPal you can process credit and debit cards of all sort. Each different payment gateway has their own fees but the builder has 0% transaction fee on all payments. 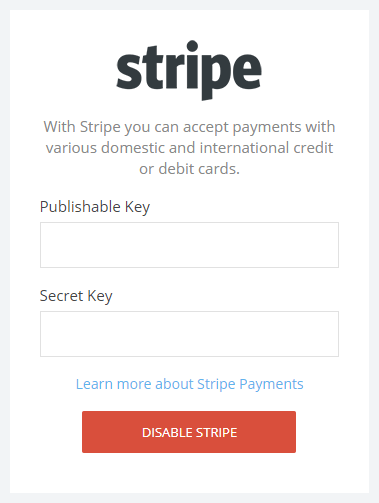 To connect Stripe you need to enter the Public Key and Secret Key from your Stripe dashboard. 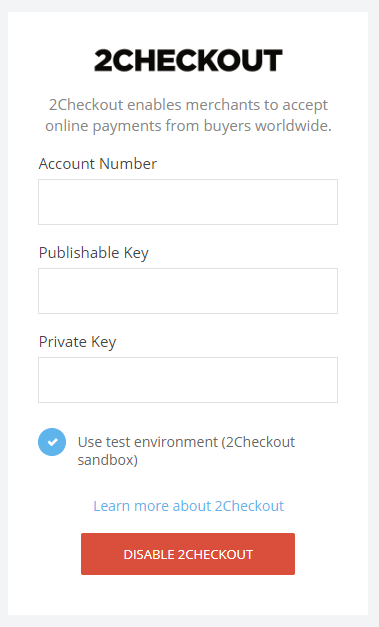 We recommend that you first enter your test keys and make a few test transactions to verify if everything works fine and then add your live keys. 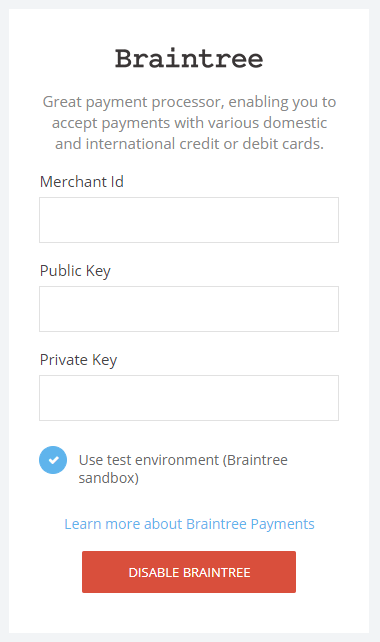 To connect your Braintree you need to add a Merchant ID, Public Key and Private Key from your Braintree account. We recommend that you first have the Test Environment enabled and make a few transactions to see if everything works accordingly. Similar to Braintree and Stripe, 2Checkout allows you to take payments of 8 different types and 87 different currencies. Same as Braintree, you have Account Number, Publishable Key and Private Key + Test environment (sandbox) option to test out a few transactions before you start charging your customers. Adding PayPal is very simple. 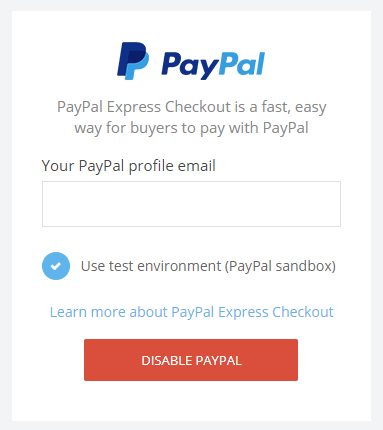 Just add your PayPal email into the input and you are ready to receive payments. Same as the others you can use in test environment to make sure everything works accordingly before start charging your customers. Cash on Delivery and Bank Transfer are your offline payment methods for your goods. 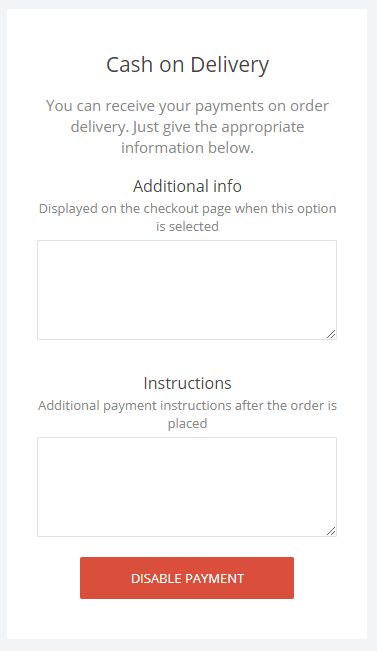 You can add texts as part of the checkout process and payment instructions after the order is placed as Bank Account number, Swift or just general instructions.